Vancouver is one of the most scenic cities of Canada. With splendid natural beauty, guaranteed awe-inspiring places and a lot more… Cost of Living in Vancouver can be the other feature to make this place of your ultimate choice to live in. The city is not only applauded for its enchanting sightseeing options but is regarded as a brilliant place to live in. The “magnificent neighborhoods” of Coal Harbour and Yaletown are a delight for any luxury lover out there. But its popularity comes with a price! 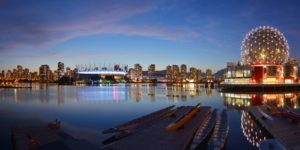 Knowing the fact that the city is going to host the upcoming Winter Olympics in the year 2010, the housing aspect in the city has become somewhat lavish when compared to other cities in Canada. Speculations are that the prices would cool down once this rush would get over. Further, there are assumptions that the city has been working on several facets to reduce the housing costs in a major way. What the facts have to say? It is assumed that a person can comfortably live in Vancouver if he can manage to spend a sum of around CAD$700 – CAD$800 per month for his basic expenses (including food, clothing, and transportation amongst others). You can spend more in accordance with your income capacity and lifestyle! What about your meals? You can expect to spend a total of around CAD$200 – CAD$400 per month for one single adult. Cost may vary depending upon your choice of food (be it home-made or ordered from a restaurant) accordingly. Accommodation: Vancouver is decked with various choices for people of all classes and income levels – be it a bachelor apartment, a one-bedroom apartment, a three-bedroom apartment and so on, You Name It and It Has It! The cost can start from CAD $550 (for a Bachelor Apartment) and can rise up to $1500, depending upon your choice and luxury level. Transportation: The public transit system of Vancouver (that includes buses, Sea Buses and Trains) is one of the finest in the continent. People, especially students and those belonging to the middle-class find the system highly beneficial. Of course, the ones with higher income can easily afford a private vehicle in a city like Vancouver! Other Expenses: Frequent expenses like medical and entertainment costs should never be ignored. You can expect to spend CAD$15 – CAD$25 for a good movie and munching in the theater. Other expenses include medical bills, insurance costs that may take your expenses to another level. So, it is recommended to spare some money for future use and inculcate the habit if “saving” for your future use. 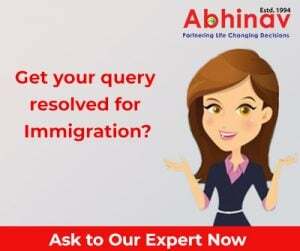 In order to commence a hassle-free stay, hire the services of a professional visa and immigration consultant today. Happy Living!